Shots here are of the PIMA/ISO 12233 standard resolution test chart (more of which are available in our comparison database). 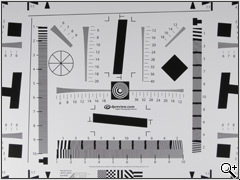 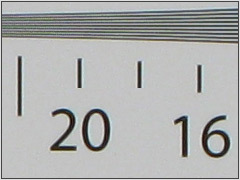 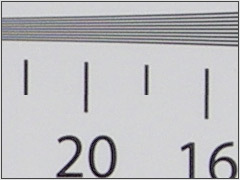 This resolution chart allows us to measure the actual performance of the lens and sensor system. It measures the ability of the camera to resolve lines at gradually higher resolutions and enables us to provide a definitive value for comparison purposes. 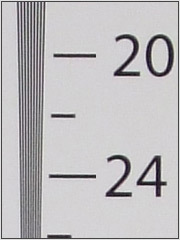 Values on the chart are 1/100th lines per picture height. 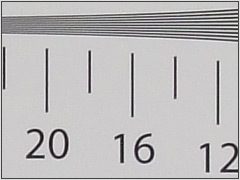 Thus a value of 15 equates to 1500 lines per picture height. Studio light, cameras set to auto, settings all factory default. If possible aperture was selected for optimum sharpness. 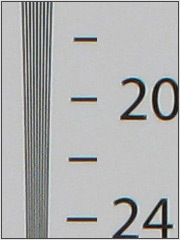 Exposure compensation +0.7 EV to +1.3 EV. 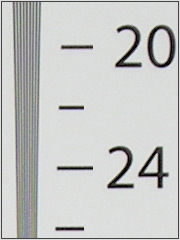 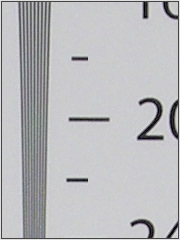 Point at which all lines of a resolution bar are still visible and defined, beyond this resolution loss of detail occurs (below Nyquist frequency). In the tradition of previous Fujifilm cameras with Super-CCD sensors the FD50fd is performing exceptionally well in this test. 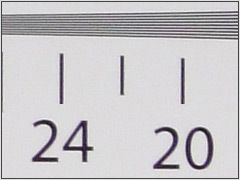 The resolution sweet spot is at f/5 - it drops slightly wide open and at higher apertures but not significantly. 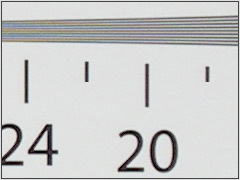 Even at very high frequencies there is not any moiré visible, the image is very clean and the fall-off towards extinction resolution is nice and smooth. 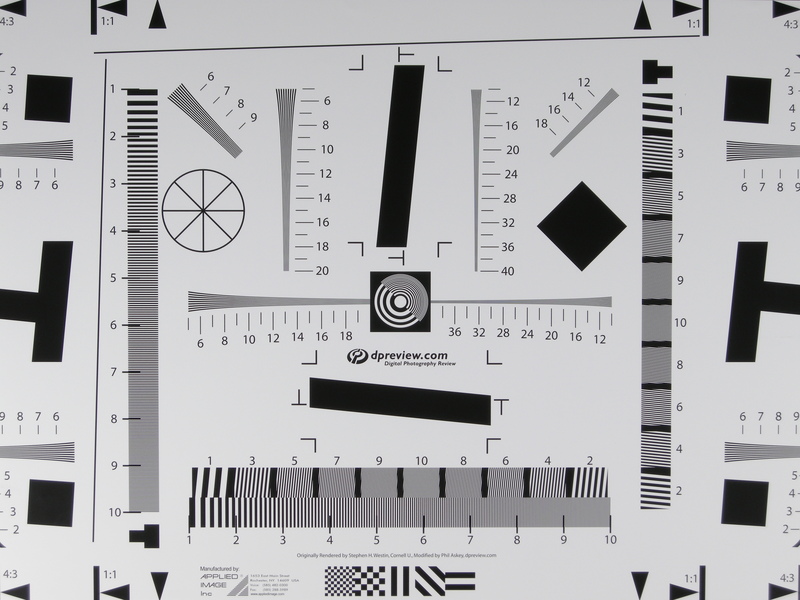 Super CCD cameras traditionally performed very well in our resolution tests and the F50fd once again sets the standard for cameras in this class, outperforming even such a compact camera heavyweight as the Canon G9. Fujifilm clearly deserve some credit for their sensor/lens engineering in the F50fd. 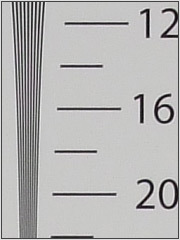 It is questionable if this extra resolution will translate into a real life benefit but it is always good to know you've got some reserves.